The benefits to the children able to attend school aren’t limited to pure academics. 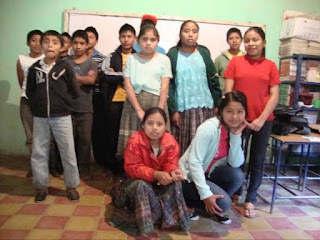 Dayse Liseth (pictured, crouching) is 16 years old and hopes to one day become a school administrator or teacher. In the meantime she focuses on her studies, volunteers as a homework helper and teaches classes at her church. 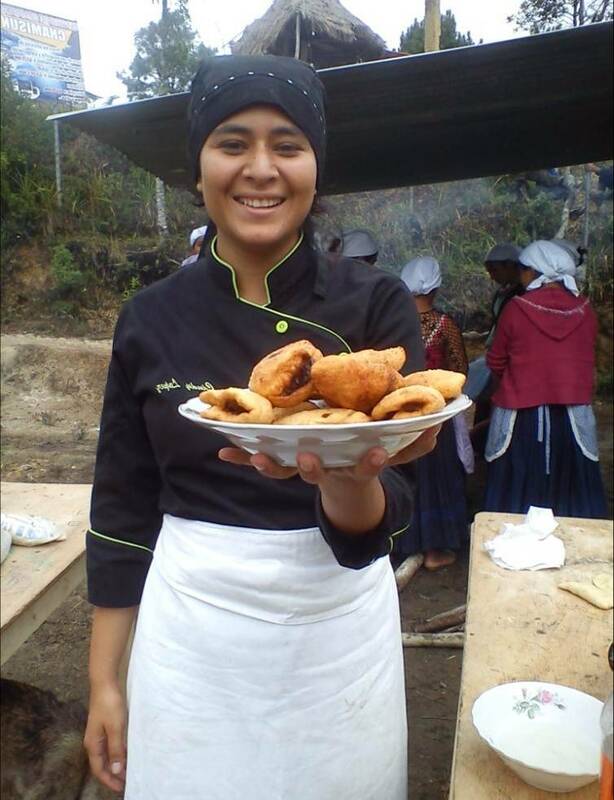 Dayse is one of 493 junior high and high school students chosen by the community to receive a scholarship in the FH-partner region of San Juan Chamelco. The scholarships are funded by the Canadian Ezra Foundation and are an important part of the long-term development process in several Guatemalan villages. The scholarships cover school supplies for junior high students and a portion of bus fare and tuition expenses for high school students. This might not seem like much, but these moderate expenses can be too much for the area’s lowest income families. For families who qualify for financial assistance, the scholarship is a two-way deal. Parents promise to do everything they can to help their children succeed in school, and community leaders follow up to ensure that parents fulfill their commitment. It might seem strange that there’s family follow-up for the scholarships, but the idea of prioritizing education is countercultural in parts of San Juan Chamelco. The scholarships are much more popular in areas that have already partnered with FH for several years. This is because there have already been a few graduating high school classes in these villages, with the students excelling in leadership and moving on to further training. In newer FH partner communities, staff and community leaders are working to convince parents both of their children’s ability to succeed and of the benefits of completing a high school education. The benefits aren’t only academic. The youth in the community are invited to attend monthly biblical values and healthy living seminars. With a focus on leadership, identity, nutrition and sanitation, this has been one of Dayse’s favourite opportunities. It has also encouraged her peers to get more involved in their community’s transformation. The students have formed a youth committee to design projects that benefit their community. With support from community leaders, they’ve implemented projects including garbage collection, tree planting and collecting food donations for especially needy families and the elderly. Students are also accessing vocational training as part of the scholarship program. FH has partnered with Guatemala’s National Institute of Technical Training to teach marketable skills such as carpentry, accounting and secretarial duties. Most recently, a group of students participated in culinary arts training to learn high-class Guatemalan cooking. Want to partner with six students in a practical way? Fund their school supplies for a year for only $30. Visit www.povertyrevolution.org/gifts today!